“Teaching the Working Principles of Osteopathy” is the topic of OsEAN's 7th “Open Forum for Osteopathic Education” conference, which will be held in Antwerp, Belgium. 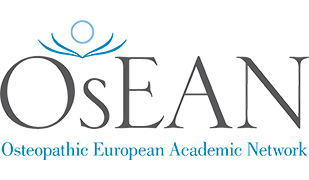 This certification scheme specifies the procedure to evaluate and certify whether an osteopathic education provider meets the OsEAN "Standard for the Management of Osteopathic Educational Providers". 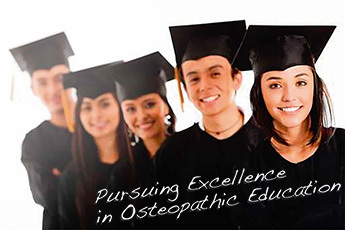 OsEAN accepts memberships from educational structures which provide education and training in the osteopathic field. Individuals, however, cannot become members of OsEAN. A good osteopath is not nescessary a good teacher. A good teacher is not nescessary a good examiner - this is why the module Assessment strategies in Osteopathic Education was created. It is regarded as good practice to use external examiners for the final clinical exams. The Examiner Pool, which OsEAN offers, is a list of accredited examiners of its member schools. OsEAN Students Exchange program allows students of the OsEAN member schools to spend up to 7 days at any other school which is part of the program, attending courses and/or a teaching clinic.